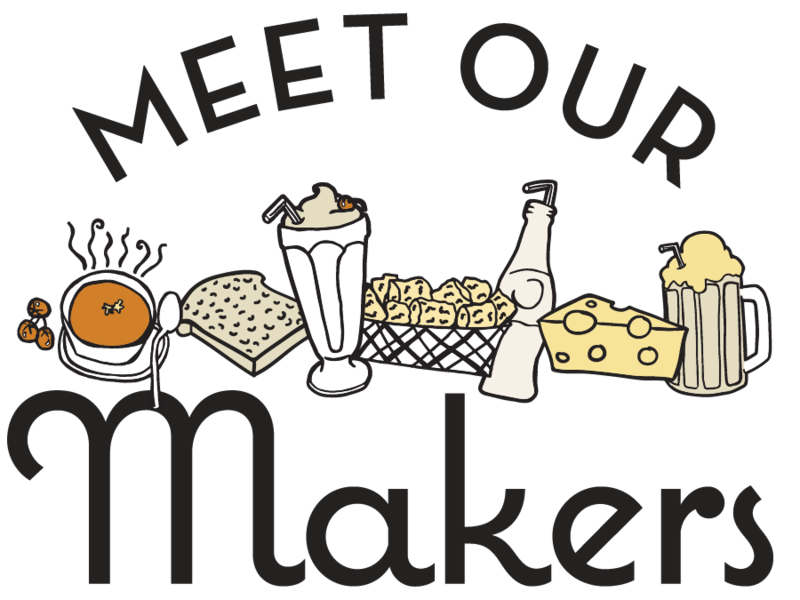 We work with some of the best darn food producers from around the Middle Tennessee region, and we've made it a mission at The Grilled Cheeserie to highlight these wonderful folks who help every day to make our dream happen. When we started the food truck, we knew that in order to create the best grilled cheese we would need the best ingredients. This has led to amazing relationships (and even friendships) with the folks from whom we source our food. Many are from right here in our own backyard. All grilled cheese sandwiches have one thing in common - they all come between two slices of bread. While it's easy to write off the importance of great bread, let us tell you - it makes all the difference. We get our bread from Silke's because of the immense time and skill that goes into each and every one of their loaves. It takes serious talent to make bread this good. Serving as a dairy farm for over 100 years, Sweetwater Valley provides some of the cheeses that we use in our sandwiches. A little slice of bucolic heaven, the farm is located in East Tennessee. We love Sweetwater not only because of their delicious cheese, but because they have made sustainability and good agricultural practices core initiatives of their business. For over eight years, the guys at Porter Road Butcher have been providing some of the best dang meat you can get in this town. Their immense dedication to sourcing only the best quality meat around means that we can serve our Roast Beef Dip knowing that the beef we use comes from the absolute best sources. Make sure to check out their East Nashville shop to get your next meat fix! Maybe Nashville's best-kept culinary secret, Green Door Gourmet is a hidden, yet easily accessible cornucopia of local, Tennessee produce. Located in West Nashville, this 350-acre organic farm produces a bounty of wonderful, seasonal produce that we use in almost every menu item we have. Check out their website to see all of their family-friendly activities and make sure to stop by their farm store! Kenny's has been making cheese in Kentucky for years, and when we set out on our grilled cheese adventure, we knew we had to work with these guys. We teamed up with these curd nurds to make our exclusive "Real American Cheese." This is similar to the individually-wrapped yellow slices we know and love... our version just packs a little extra punch in the flavor department. For over 50 years, Benton's has been smoking up a true East Tennessee delicacy - old school country hams and bacon. They take the art of smoking seriously, only using the best pork and the finest woodchips. Recently, they've gained major notoriety, but the smoked meats haven't changed in quality. The smokiness is intense, but that's exactly why we love it. Benton's Bacon is really the only way we could ever imagine topping off our mac and cheese. Pied Piper is our go-to spot for handmade, artisanal ice cream on Nashville's east side. Using only the finest ingredients, we knew that when it was time to start making milkshakes at our shop, there was no question that we would use Pied Piper as the base. Creamy, rich and decadent, this is seriously one of the best treats in town! Greener Roots is some seriously futuristic stuff - and we love it! They use hydroponics to grow leafy greens. This means we can have access to local, sustainable, GMO-free lettuce for our salads all year round. The best part? Because we are getting our greens so soon after harvest, they are packed full of flavor. Sustainable, local and flavorful... what could be better? Daniel Folks and Samantha Lamb moved their farm to Santa Fe/Fly, Tennessee, because of the great need for good whole-hearted food. Their goal is to maintain a happy farm with well respected animals, and their garden is a half of an acre of pure joy. In 2013, FatBack was formed by a group of like-minded professionals dedicated to reviving the small, family-owned, heritage-breed hog farm; to providing farmers with quality services for processing, curing, smoking and adding value to their pork products; and to building and maintaining a network in which these products can be distributed. FatBack works with a network of small farms throughout the South to provide a steady stream of premium heritage-breed pork products to chefs and retailers. 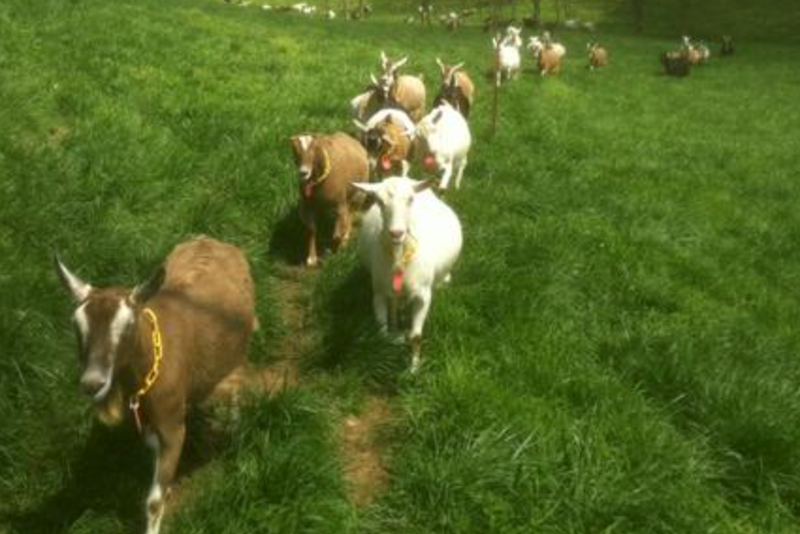 Noble Springs Dairy is a Grade A goat dairy and artisanal goat cheese making operation that was licensed in 2009. The farm includes several valleys and natural springs, and it is protected by a conservation easement through The Land Trust For Tennessee, which means it will always be farmland. Every drop of milk that goes into our products is derived from the natural forages that our goats enjoy on the farm. In 2007, Rachel and Ben built CREMA from the ground up and were eager to provide not only a coffee experience, but a human experience. They source their coffee from farmers they know and trust – friends, fellow coffee fanatics, trusted partners in the unfathomably complex story of coffee going from the plant to your cup. Their mission is to honor their farmers and friends by paying them well, roasting their coffee in a way that honors its history and nuance, and serving the coffee with gratitude. Olive & Sinclair is Tennessee's first and only bean-to-bar chocolate company. Slow-roasted and stone-ground, O&S was founded in 2007. O&S takes pride in their take on bean-to-bar chocolate known as Southern Artisan Chocolate™. O&S Chocolate begins with stone-grinding cacao, inspired by the method used for stone ground grits, using melangeurs (stone mills) from the early 1900's. Only pure cane brown sugar is added for a robust flavor and slow sweetness that is definitive of Southern Artisan Chocolate. Belle Meade Bourbon was produced by Charles Nelson in the late 1800’s in conjunction with a third party (Sperry Wade & Company) who contracted Nelson’s Green Brier Distillery to create bourbon, rye, corn, & Tennessee whiskies bearing the Belle Meade name. It was sold from 1878 until 1909 when Tennessee adopted state-wide Prohibition and production came to an end. Today, Andy and Charlie Nelson run the reopened distillery; and Belle Meade Bourbon is once again proudly and painstakingly aged, blended, and bottled to perfection in the heart of Nashville, Tennessee.